I visited Korea in mid-late June to visit my wife's friends and family and take our daughter to see them too for the first time. The weather was very hot and sticky and most of the resident birds seemed to have finished breeding. So things were fairly quiet bird-wise. It was good to see family and friends again, some of whom we hadn't seen in years. 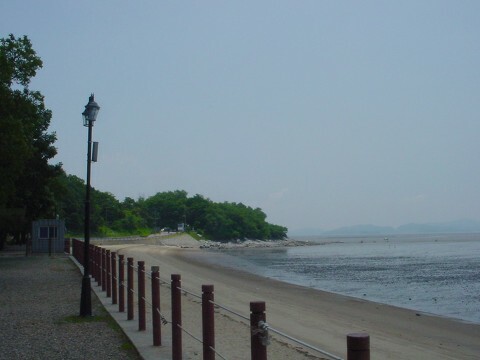 Our friend Susanna kindly drove us out to Kangwha-Do, where at Dongmak Beach and Bunori Dondae there is a good area for watching birds of the mudflats. Unfortunately the tide was well out so there were few birds, but we did see 2 Black-faced Spoonbills (jeoeosae), 1-2 Swinhoe's Egrets (norangburibaengno) and about 6 Far-eastern Curlews (allak-kkorimadoyo). The amazingly beautiful Black-capped Kingfisher (cheonghobansae), which I saw there 3 years ago, didn't show itself this time unfortunately. 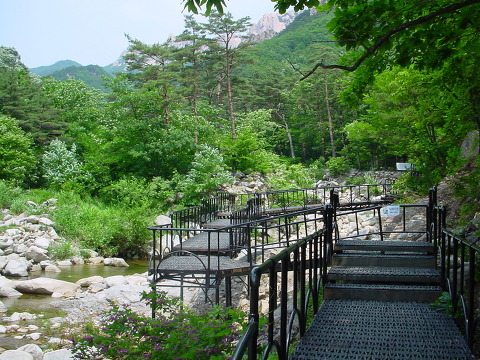 I had some time to go birdwatching at Seoraksan National Park, mostly up the Rocking Rock Track. 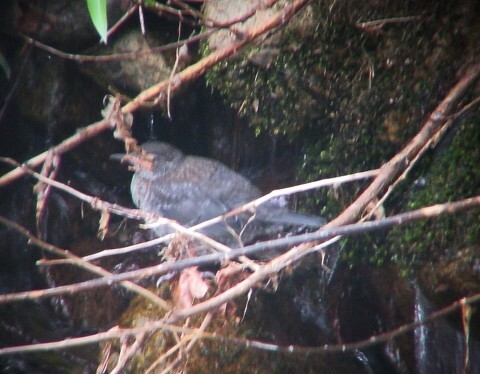 Here the highlights were a young Brown Dipper (mulggamagwi), which I managed to digibin (photo through binoculars with digital camera), and a few Grey Wagtails (noranghalmisae) on the mountain stream and a rather elusive Asian Brown Flycatcher (soesolttaksae) in the forest, which eventually gave good views. Seoraksan was beautiful anyway. 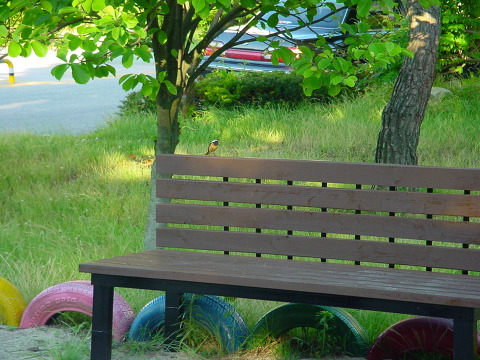 Near and at the Kumho Seorak Resort, where we stayed there were also plenty of birds, with Daurian Redstart (ttaksae) and Black-naped Oriole (kkoekkori) in the garden/adjacent woodland, Hoopoe (hututi) in the farmland, and Oriental Great Reed Warbler (gaegaebi) and Japanese Wagtail (geomeundeunghalmisae) on the river/streams.